Individual boys and girls, and sibling groups around 3 years old and up are waiting to be chosen for adoption. Healthy children and children with special needs are available. 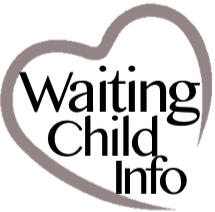 AGE: Prospective couples can be 25-50 years old and there must be at least 20 years age difference between parent and adopted child. FAMILY: Christian heterosexual couples who have been married at least 2 years may apply, and there can be no more than once divorce in each parent’s history. A family’s home should have no more than 3 minor children currently residing in it. Parents must be physically healthy with a BMI under 40, and must be mentally capable of parenting an adopted child. There can be no history of sexual abuse, child abuse, domestic violence, alcohol/drug abuse or criminal violations in the past 10 years. INCOME: Families should have a net worth of $80,000+ and a combined annual income of at least $80,000. TRAVEL: Both parents must travel and the trip to Taiwan typically lasts 7 days. Some families may be required to make an extra trip to attend a court hearing.